https://southdenver.bintheredumpthatusa.com/article/how-can-renting-a-dumpster-help-you-with-an-hvac-service	Bin There Dump That South Denver	https://southdenver.bintheredumpthatusa.com/img/franchisees/1.jpg	202-10004 Dransfeldt Rd, Parker, CO	Contact us for more details. When it comes to throwing away construction clutter or getting rid of big piles of stuff, there’s no better option than to rent a dumpster. Dumpsters are quite efficient, as they can be used for a wide variety of projects that have nothing to do with dumping something. Not many people might know about the benefits of renting a dumpster for an HVAC service, therefore we will save you the unnecessary suffering of having to figure it out on your own. In this article, we outline all the details about renting a dumpster to enhance the performance of HVAC services. Your local residential repair services should be aware of these options. Believe it or not, renting a dumpster is something  that many are not familiar with. For them, the straight up answer is YES. If your project involves tossing anything that a trash can’t handle, renting a residential-friendly dumpster is the best way to go. 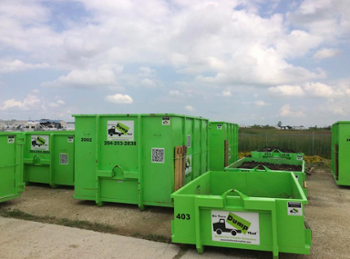 Moreover, dumpsters come in various sizes, starting from 4 yards up to 20 yards. This size variation helps you to have more control over the containing capacity you need, as well as the space you want the dumpster to take without becoming an obstacle. All of this will save you time and unnecessary suffering, especially if you hire a Bin There Dump That dumpster. They have the most efficient and quickest service, capable of satisfying all the wasting needs you have during any project of that nature. How Can A Dumpster Service Help? When it comes to HVAC systems, it’s a totally different matter. The worst part is that there are very few HVAC companies that can help you throw away obsolete devices. So, if an air conditioner, a furnace or a boiler ends up being replaced, the old one is still in there, collecting dust and occupying unnecessary space. That’s when hiring a dumpster service comes in handy. Not only will they remove these devices that are way too big for a normal trash can, but they can also help you with cleaning any construction debris generated by big and complex plumbing projects. Just keep in mind that when it comes to removing a freon-containing appliance, your HVAC specialist will need to have it removed from the appliance before it can be disposed of. This is a safe practice that guarantees safe disposal without any risk of contamination or explosion. Simply put, if anything you need to throw away doesn’t fit in a conventional trash can, hiring a dumpster is the best option. Besides, renting a dumpster is one of the simplest, quickest and easiest processes. Your time is way too important for you to stress over unnecessary things. Wasting a whole weekend away just to go to the local landfill, numerous times, in order to get rid of the junk, is definitely one of them. That’s why renting a dumpster can save you time and stress and believe it or not, money. This is why there’s no surprise at all that big contractors rely on these services vs normal random dumpster services. The customer service and the great quality and good shape of the dumpsters make up for that reliability. Many would think that hiring a dumpster is way too expensive and not affordable for them. However, the cost-efficiency of this service will make you see why it is the best option for disposing of waste generated by your HVAC remodelling project. That being said, let’s talk about the money. Renting a dumpster is the cheapest way to throw away a huge amount of waste. This efficiency gets reflected in not having to do various trips to the landfill and spending extra gasoline on the process. However, there are some intricacies that need to be taken into account when hiring a service like this. The first one being the size of the dumpster. Dumpsters come in various sizes, and it is expected that the price varies according to the size. This makes the prices fluctuate between $285 and $550 USD, according to national averages in the USA. Another thing that makes the price vary would be the weight. Each dumpster can only take a certain amount of tonnage. So, make sure that you don’t exceed that, as this can cost you extra. 9/10-yard dumpster: Ideal for larger replacements, such as furnaces, boilers or refrigerators. Finally, if you don’t have enough space to place a dumpster, this would mean that you would need to make use of public property, for which a special permit might be required. Take a look at your own state or area jurisdiction and see if a permit is needed and how much it costs, to see and decide how convenient that is for you.